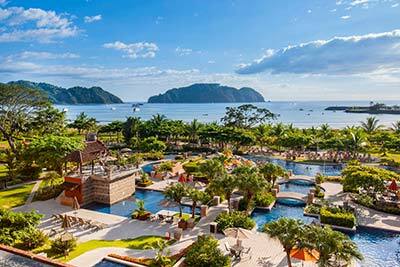 One of the best things about living in Costa Rica is the number of national parks and wildlife reserves there are to explore in the country. Sometimes, it can be tricky choosing which one to visit first! 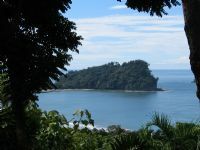 Ballena National Marine Park, located on the shores of South Puntarenas, is definitely one of my favorites. Boasting some of the most spectacular scenery in the country and a wide range of exotic wildlife - including some of my brothers and sisters! 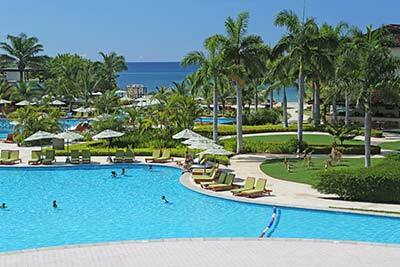 - Ballena National Marine Park is an essential stop for wildlife enthusiasts visiting Costa Rica. Come with me to learn more about this amazing wildlife sanctuary! Ballena National Marine Park was established in 1990 to protect not only the delicate ecosystems of the rainforest and surrounding coastline, but also the exotic plants, animals and sea life that dwell within. 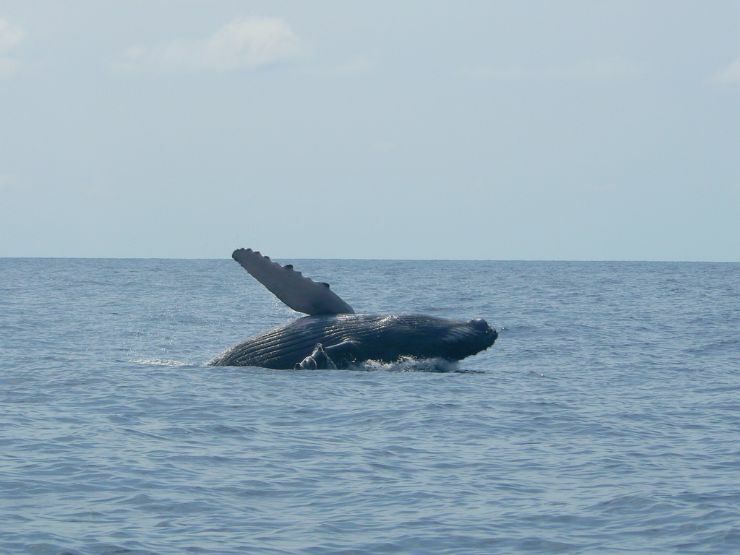 The park was named "Ballena" for the humpback whales that migrate for thousands of miles to breed in the warm waters off the coast of South Puntarenas. Since its inception, Ballena National Marine Park has become one of Costa Rica's most popular and beloved parks, and the rangers who work here are responsible for a range of conservation efforts. Although the wildlife that inhabits Ballena National Marine Park tends to get most of the attention, the area is also home to several protected species of plant and tree. 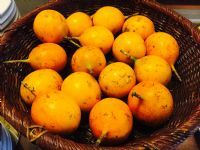 These include the tea and red mangrove, and wild anona, a genus of flowering plant that is similar to the sugar apple tree. In addition to these protected plants, Ballena is home to a diverse array of marine life, such as bottle-nosed dolphins, humpback whales, Olive Ridley and hawksbill sea turtles, and sea hare crabs. These creatures are just as vital to maintaining the fragile balance of the park's ecosystem, and as such Ballena actually extends approximately 3 miles out to sea to encompass the breeding grounds and natural habitats of these animals. While the waters of Ballena National Marine Park are teeming with protected species, the wildlife that inhabits the tropical rainforests of the park is just as diverse. As you walk through the leafy jungle, you might be lucky enough to see green iguanas and many different species of birds, including scarlet macaws, resplendent quetzals and parrots. As a coastal national park, Ballena has four main entrances that are accessible from the beaches between Playa Uvita to the north and Playa Piñuela to the south all along the Costanera Sur. 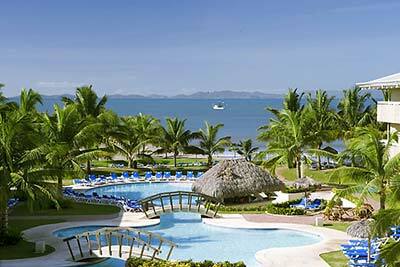 In total, the park covers approximately 9 miles of the South Puntarenas coastline, meaning that there are plenty of ways for guests to enjoy the tranquil beaches of this beautiful park. 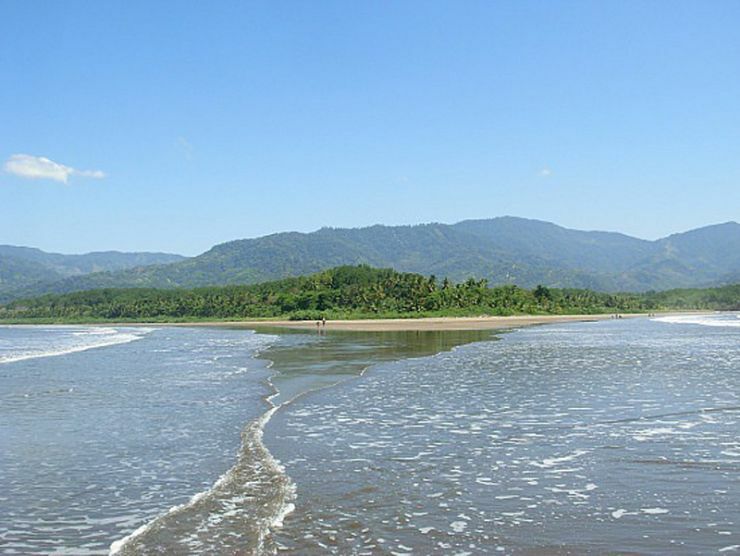 Playa Uvita and Ballena are two of the most secluded and peaceful beaches encompassed by Ballena National Marine Park. 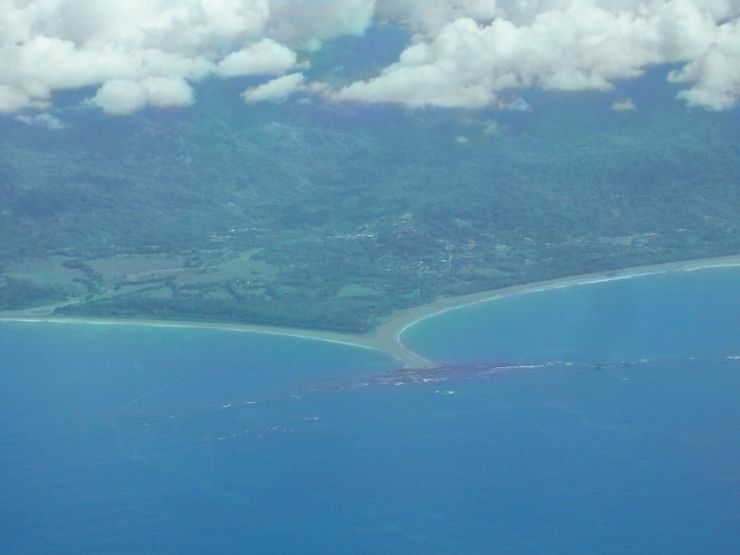 Uvita is well known for the formation that during low tide resembles a whale's tail. 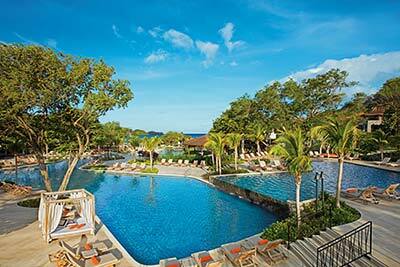 After wandering through the rainforest, why not cool off with a relaxing swim in the Pacific Ocean? Alternatively, you can begin your journey of tropical exploration at the beach before wandering inland to one of the four ranger stations along the coast. Once you're inside the park, you can take long hikes along the dozens of trails that wind through Ballena to enjoy its stunning waterfalls, mangrove swamps, tropical lagoons and dense jungles. When you're wandering through the depths of Ballena, it's easy to forget you're still in Costa Rica. There are many scenic viewpoints throughout the park, offering spectacular views of the surrounding rainforest, so don't forget to bring your camera! Of course, as a marine park with miles of unspoilt coastline, Ballena offers you the chance to enjoy some of the best water sports in Costa Rica. If you want to experience the breathtaking beauty of South Puntarenas underwater coastline firsthand, why not head out into the warm waters on a snorkeling expedition? Ballena National Marine Park boasts the largest coral reef on the Pacific Coast of Central America, and the beauty of this underwater world has to be seen to be believed. As you swim through the gentle waters, you'll see all manner of exotic creatures in their natural habitat, including eels, manta rays and sea turtles. The reefs off Ballena National Marine Park are also ideal for scuba diving. If you'd rather keep your head above water, many tour operators in the area offer guided whale and dolphin-watching tours. The best time to see the majestic humpback whales in the region is between December and April, as this is when these mighty creatures return to the waters of the Pacific to mate. Dolphins inhabit the region year-round, so no matter when you choose to visit, you're sure to be in for an unforgettable trip. 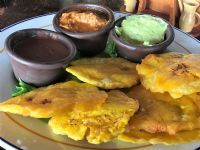 To reach Ballena National Marine Park from the capital of San José, travel along the Pan American Highway towards San Isidro, at which point you should head southwest toward Dominical on the Costanera Sur (Route 243). 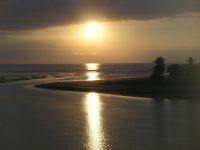 Once you get to Dominical, head southeast along Costanera Sur to reach Uvita. Then go a bit past Uvita until you reach the turn off to the right. Would you like to share anything? Say it on our Facebook page or our Twitter Feed.